Enjoy the spectacular lights of Sin City’s famous skyline high above the glowing neon in a once-in-a-lifetime adventure that is guaranteed to be the highlight of your Las Vegas experience. Please call for availability before booking. 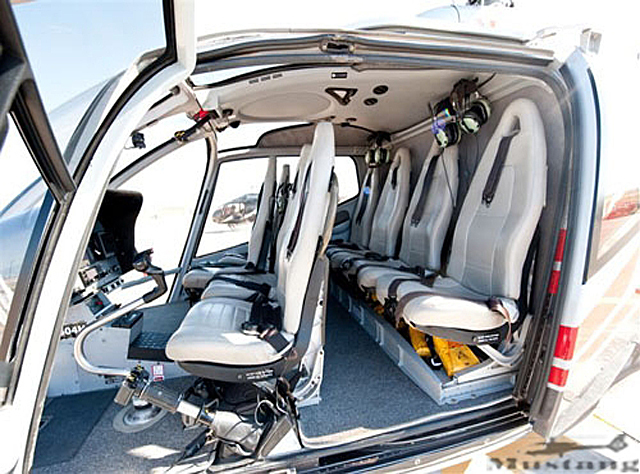 Your low-priced Las Vegas Night Flight Over The Strip Tour tickets include complimentary luxury transportation to and from your Strip hotel to the Maverick Helicopter’s helipad terminal located just minutes from the famed Las Vegas Blvd. Prior to your departure for your sightseeing tour over iconic downtown and The Strip, you will be greeted with a glass of chilled champagne as you board the state-of-the-art aircraft. Experience breathtaking sights from inside the ECO-Star helicopter--specifically designed for sightseeing, with 180-degree wraparound windows, professional and knowledgeable pilots and multilingual audio guides--as you soar over Glitter Gulch, Fremont Street Experience, Westgate, Stratosphere Hotel & Tower, Wedding Row, Circus Circus, Mirage, Treasure Island, Wynn | Encore, The Venetian | The Palazzo, Caesars Palace, Flamingo, Bally's, MGM Grand, Excalibur, Luxor, Tropicana and many more. Photo opportunities abound as you pass over the LINQ’s High Roller observation wheel, Fountains of Bellagio, Luxor Sky Beam and Eiffel Tower at Paris Las Vegas as well as other famous Las Vegas attractions. Your tour concludes back at the Maverick helipad in time for you to take in a fabulous dinner and the famous Las Vegas nightlife. Get your Las Vegas Helicopter Night Flight Over The Strip Tour tickets from VEGAS (the app) for a view of the City of (Neon) Lights that is second to none. The Las Vegas strip flight duration is approximately 12-15 minutes. Please allow at least 1 hour for the entire tour.